Kathleen’s flowers are available at the checkout counter — hard to miss! 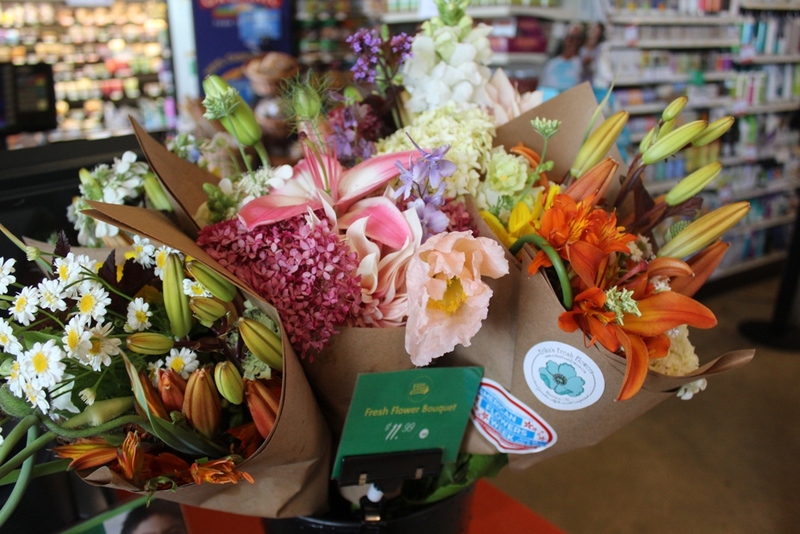 Spotted this week inside the Astoria Co-op Grocery (Astoria, Oregon): Erika’s Fresh Flowers‘ garden bouquets for American Flowers Week. 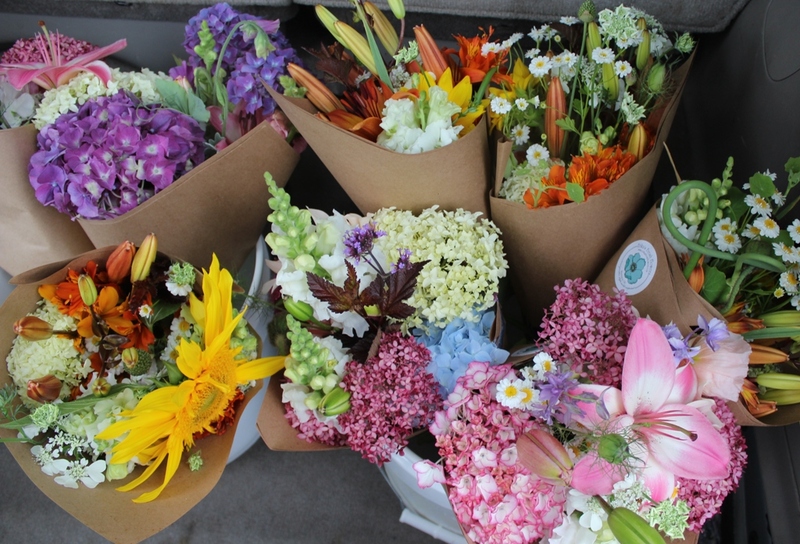 Farmer-florist and Slowflowers.com member Kathleen Barber added red-white-and-blue AFW2016 stickers to her kraft paper-wrapped bouquets, which she regularly delivers to the local natural grocery in her community. Kathleen’s 1.25-acre flower farm is based in nearby Warrenton, Oregon, where she grows hundreds of bulbs, annuals, perennials, ornamental shrubs, grasses, succulents and herbs for her custom bouquets. Her business, Erika’s Fresh Flowers (named after Kathleen’s daughter), grows and designs flowers for regular CSA customers, corporate clients, weddings and events and the Astoria Co-op, a popular hometown grocery store that values local sourcing. 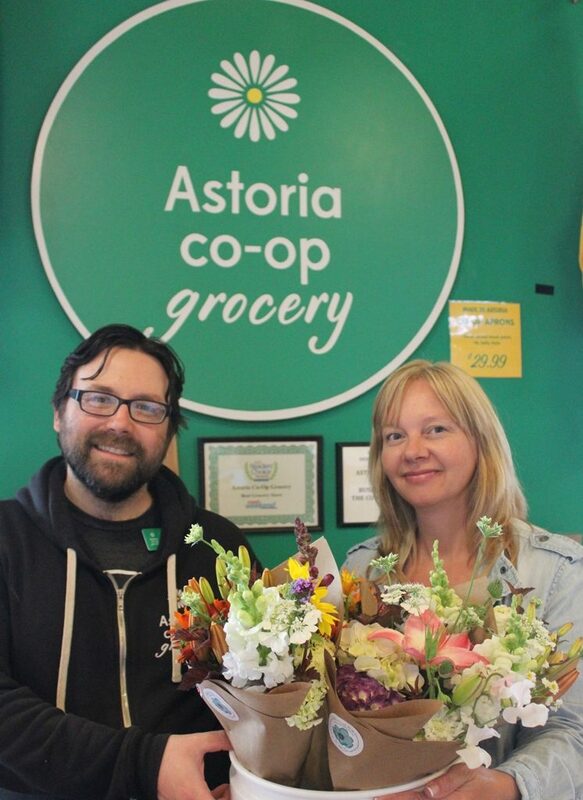 Kathleen delivers buckets of bouquets to Astoria Co-op Grocery once or twice each week. Thanks Kathleen! Your example will inspire others to promote American Flowers Week in their community, too.